By: Karen Morrison on Mar 21, 2012, 07:49. Allure Backstage – Anna Sui Fall 2012 Backstage Beauty Video. Go backstage at Anna Sui Fall 2012 with makeup artist Pat McGrath, hairstylist Garren and top model Lily Donaldson. The hair and makeup at Anna Sui’s fall 2012 runway show was a nod to the 1960s: teased updos and matte, indigo-blue cat eyes one of the hottest beauty trends of the season. Pat used some her favorite blues by Covergirl to create that graphic cat eye – Indigo Impact Eyeshadow and Liquid Line blast in Blue Blue. Garren teased the hair to create a “kitten bump” and to finish the look he applied Elnett hairspray. Watch our fashion video of Anna Sui Fall 2012 Collection here now. Allure Backstage is Executive Produced, Directed and Reported by Karen Morrison. Cameraman: Giovanni Sicignano. 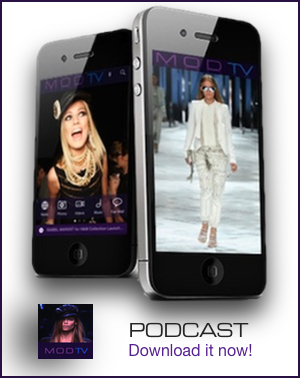 A production of MODTV Fashion Video Network. Watch Allure Backstage: The Look of Prada Spring 2013 video here now. For all the latest beauty news visit ALLURE.COM.